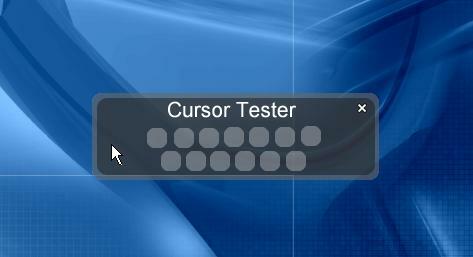 A easier/funner way to test your cursor! Thanks to Fairyy~ for making this into a widget! Glad you got the updated one ( sorry about my forgetting to remove the X out button - I think most people know that you just right click on a widget to " hide - show - close "
The preview shows an X button but that was when it was an object( X close button is not on the widget). Works good now. I still think this was a clever idea you had and I hope everyone that uses widgets will try this out - its a great way to see all the animated states of a cursor without waiting. as Mr. Lou Vega might say: "Thank you! Thank you very much!" ...for this widget, i just need something like this!